So, what should we do to people who enforce the law? I mean, they’re clearly evil and need to be stopped because of racism or something! Yeah! Let’s make signs and online petitions that never go anywhere to show that we’re really upset about this! The Feds are gearing up to bring a contempt-of-court charge against Sheriff Joe Arpaio for failing to comply with a judge’s orders to cease any and all immigration patrols, something every Sheriff in America should be doing. 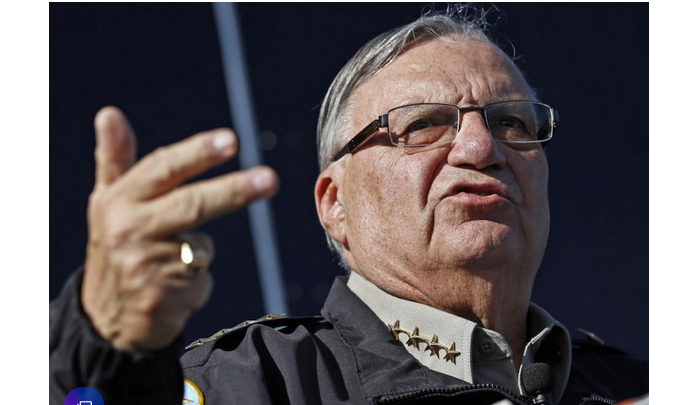 Arpaio acknowledged that he disobeyed the order, but claims that his doing so wasn’t intentional. His lawyer said that Arpaio will not be arrested and no mugshot will be taken, but he has pleaded not guilty to the charges and is asking to be tried by a jury of his peers. He is facing up to six months in jail if found to be in direct violation of the court order and he could be facing even more trouble if the authorities decide to bring an additional obstruction of justice charge against him. While contempt would only be a misdemeanor, obstruction is a felony which would result in Arpaio losing his job as Sheriff of Maricopa County, Arizona. His Democratic opponent is using all of this to his advantage in his campaign, but that hasn’t stopped Arpaio from receiving $12M in donations, mostly from out-of-state donors. It’s hard to believe that any judge in America would force a Sheriff to stop enforcing the law, but that’s the age we live in right now. Break the law? Get set free by the Obama administration. Enforce the law? Get sent to jail because you’re just a big ole meanie head.